New guidance from the U.S. education department says schools must provide sports for students with disabilities. 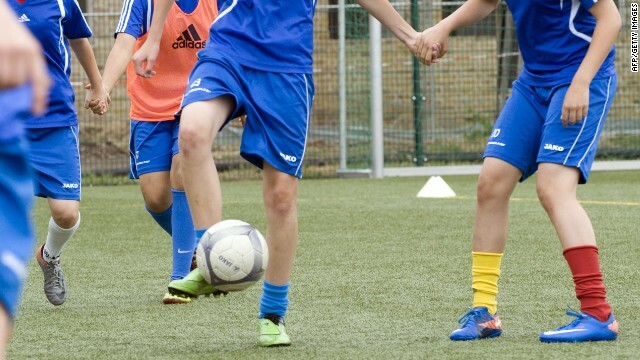 (CNN) - Schools must give students with disabilities equal opportunities to participate in extracurricular athletics, including varsity sports, the U.S. Department of Education said Friday. And if existing sports don't meet the needs of those students, schools must create additional athletic programs. Some advocates compared the move to Title IX, the 1972 amendment that mandated gender equity in education and sports programs at schools receiving federal funds. The department’s Office for Civil Rights pointed to a 2010 report from the Government Accountability Office that said disabled students were not getting equal opportunities to participate in sports, a right they were granted under the Rehabilitation Act, passed in 1973. Denying disabled students’ participation meant that they “may not have equitable access to the health and social benefits” of playing sports, the education department said in a statement Friday. “Sports can provide invaluable lessons in discipline, selflessness, passion and courage, and this guidance will help schools ensure that students with disabilities have an equal opportunity to benefit from the life lessons they can learn on the playing field or on the court,” Education Secretary Arne Duncan said in the statement accompanying the guidelines. Examples of the kinds of accommodations the department is seeking included offering a visual cue, along with a starter pistol, to allow deaf students to participate in track races or allowing a one-hand touch to end swimming races, rather than a two-hand touch, which would allow students with only one arm to participate. 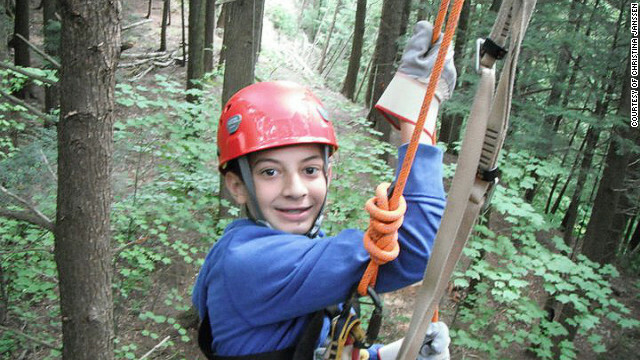 School has failed my son, who struggles with ADHD and Tourette syndrome. But here's hoping 7th grade in your special education program can turn it all around. My son, Aden, started seventh grade today. He's the one who often sits in his guidance counselor's office because he's too nervous to go to class. Remember, the kid who got two days of suspension because he broke your "personal space" rule by touching another boy's necklace he thought was cool? I want a fresh start this year, so it's time you heard who Aden is. His trouble with school started early. He cried every day in kindergarten until nearly Thanksgiving. His teacher, on her last year after 36 with the district, put him at a desk alone, facing the corner. To keep us from figuring this out, she moved his desk back on open school night and parent-teacher conferences (during which she lamented his high-energy and "incorrigible" attitude). We found out in May, when my husband walked into the room unexpectedly with a forgotten snack. The diagnosis of ADHD came as third grade started. We gave him the meds, which his teacher appreciated. Still, homework was a battle. The teacher sent us notes, full of obvious tips she must have thought we were too incompetent to have considered, like setting up a homework spot and providing a snack. These rubber-stamp homework success tips did nothing to address the elephant in the room: the fact that a kid who reads at a level several grades below the one he's in is not going to be able to do, say, the social studies homework which involves reading a textbook. Soon the medication's effects wore off. And the thing was, it was too late for any pill to make him love to learn anyway. The next three years proceeded in the same way: We spent the first half of the year being scared by threats of his being left back, predictions of his never graduating high school if he didn't read more, even becoming a "troubled teen." Then with spring came the state tests, which he passed, literally, by a point or two. I was mystified, considering that he flunked nearly every in-class test. I asked how this was possible, and never got a straight answer. We pleaded for him to go to summer school, and the answer was always "He's fine! Summer school is only for the kids who don't pass the tests. See you next year." (CNN) Slammed into lockers, isolated in darkened schoolrooms, vulgar language by a teacher – it was just another day at school for special needs student Alex Williams. Recently released court documents say Alex, who has cerebral palsy, was routinely abused by teacher Melanie Pickens at Atlanta-area Hopewell Middle School between 2006-2007. Despite extensive abuse of Alex and other students that was substantiated by a Fulton County School district investigation in 2007, no charges have been filed against teacher Melanie Pickens or then-Principal Frances Boyd. None of Pickens’ special needs students had the verbal abilities to tell anyone they were being physically and emotionally hurt. You might expect that documented child abuse, in a public school, with many reports by teachers, school nurses, and staff, would automatically result in criminal charges -at least against the teacher actually doing the abusing. Parents of Melanie Pickens’ former students say: Think again. The way the Williams family learned of their son’s mistreatment was circuitous and indirect, according to Lisa and Doug Williams of Atlanta suburb Alpharetta. The parents of another student, Jake Marshall, informed the Williams, according to court documents released earlier this year. That’s because the abuse of student Jake Marshall was the first to be uncovered. Now 19, Jake lives with Angelman Syndrome and is non-verbal. Back in 2004, special needs teacher Melanie Pickens taught a class of middle school students, at Hopewell Middle School, in the Atlanta suburb of Milton. She taught in an area of the school called G Hall, which is the section of the school used solely for special needs students. In May 2007, another special needs teacher, Susan Tallant, says she found Jake isolated in a room, alone and strapped in a chair. She says it was obvious he’d been there a long time, because he was covered in his feces. “He had defecated and actually gotten it everywhere. All over him, all over the chair he was sitting in, all over the floor,” Tallant said in an exclusive interview with CNN’s Julie Peterson. 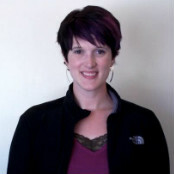 Editor’s Note: Charlotte Walker works in Maine teaching students who are deaf. She is always looking for new and innovative ways to incorporate technology in her classroom. She holds a master’s degree in literacy from New England College. I grew up in an era where technology was just becoming available, and affordable, for families to have in the home. At age 4, I would sit in my dad’s lap and play Mario Brothers on the original Nintendo system (and nearly broke my dad’s nose while moving the controller to make Mario jump!) A few years later I was spending my Saturday mornings playing role-playing games on our very own DOS operating system personal computer. As I grew, so did my love for technology. Thankfully, with the right guidance, I was able to recognize the importance of traditional learning as well as learning with the aid of technology, and was able to keep a balance between the two. Today, I work in a bilingual classroom for students who are deaf or hard of hearing, and I try to balance the use of technology for my students as well. The classroom is made up of two large rooms joined by a door. I instruct in spoken English while my co-teacher instructs in American Sign Language in the other room. Our classroom has roughly 25 students. About half those students have some degree of hearing loss and the children are able to move freely between the two rooms throughout the day. One of the main goals of my classroom is to help my students develop the skills to listen to and use spoken language. Due to their hearing loss, a lot of my students miss incidental learning opportunities. They might know what a cow is, but they may not have had explained to them what a hoof is. That is my job, to make sure my students know what things such as a hoof, or a jewel on a crown or a polka dot are called. How is this done? Well, it could be done using traditional methods such as flash cards, but preschool children have a limited attention span, especially for static objects. These days, my preschoolers are more technologically advanced than I was as a child. They bring their iPads to school to show me slideshows they’ve created (with the help of their mom or dad) of their trip to the grocery store the night before. Recently, while watching two of my students in our independent drama area, I noticed they were using a building block as a cell phone, and they held the block in front of them with one arm in order to take a picture! 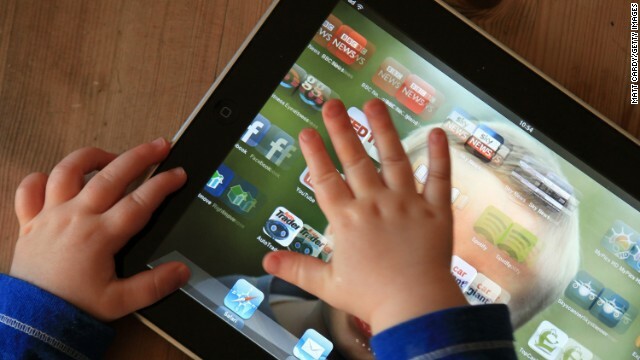 Kids these days are tech-savvy and if there is one thing I have learned in my eight years of teaching, it is that effective teaching often means following the student’s interests. Dr. Drew interview: Student verbally abused by teachers? A special-needs student's parents hide a recording device on their child to prove teachers bullied Cheyanne. 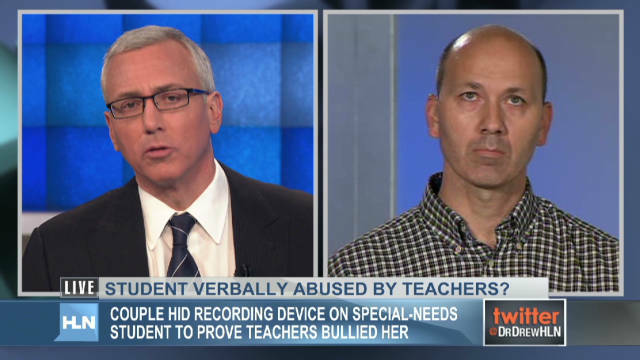 In the video above, the father of the girl who was allegedly verbally abused by teachers talks to Dr. Drew. On Friday night, Dr. Drew examined a story about a special-needs girl allegedly badgered and verbally abused at her middle school – not by her classmates – but by her teachers. The girl’s family said they went to school administrators, but officials reportedly called their daughter, Cheyanne, a liar. So, Cheyanne’s parents took matters into their own hands and sent her to school with a hidden recording device. What was revealed was heart breaking: Seven hours of verbal abuse that appears to belittle Cheyanne for her weight, intelligence and integrity. In one recording, Cheyanne is told by someone later identified as a teacher, that she flunked a test before the teacher even looked at it. Teacher: Tell me what you have. You haven't been paying attention to math class, have you? You know what, just keep it. You failed it. I know it. I don't need your test to grade. You failed it.